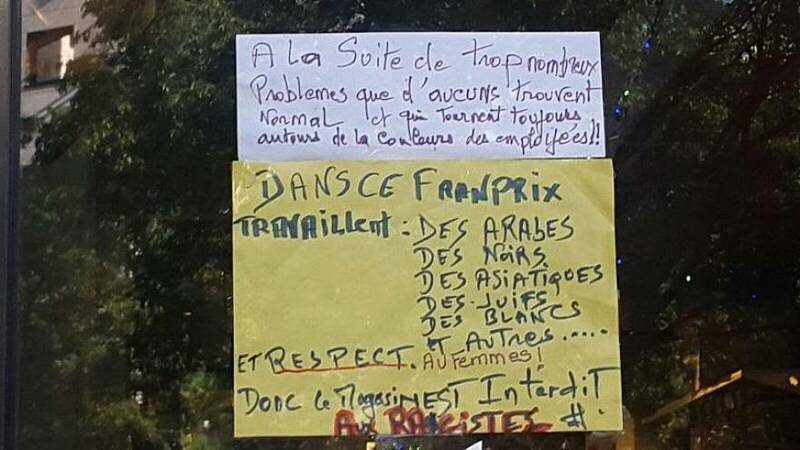 A Paris supermarket has posted a sign in its window warning racist customers to stay away. The manager of the branch of Franprix, put up the handwritten note after members of staff received repeated abuse. Therefore the shop is out of bounds to racists." Another notes that staff have received an unacceptable number of problems linked to the colour of their skin. Staff at the shop said they didn't want to comment when approached by Euronews.